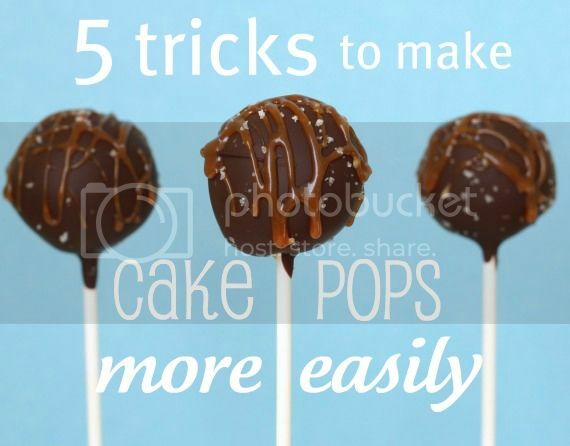 A couple of weeks ago I posted my 5 tricks to make cake pops more easily – ways I’ve found to cut down on time and frustration by using kitchen tools I already had. The post got a lot of comments and feedback, along with some questions about making cake pops that made me realize I skipped the basics for you all who have never made them. Cake pop recipes can be overwhelming even to an experienced baker, so I can definitely understand why a lot of you haven’t attempted making them yet. I made a simple step-by-step photo tutorial to guide you through the process and I hope it encourages you and helps you take the plunge into making cake pops. I hated making them at first because it took so much time, but the more I make them (and I keep doing it because they’re so delicious! ), the easier and faster it gets. 1. Bake a cake, any cake (use a box mix if that’s your thing, or your favorite cake recipe). Let it cool, then split it into several big pieces. Crumble them evenly with your hands, a food processor or a blender. Place all the crumbs into a large bowl. 2. Make the frosting that goes with your cake recipe (or buy canned frosting) and add it to the crumbs. Use the back of a spoon or your clean, dry hands to thoroughly mix them together. 3. Use a cookie scoop or a spoon to scoop out even amounts of cake pop dough. Use clean, slightly moistened hands to roll into firm balls. Place them onto a baking sheet or dish and put them in the freezer. 4. Use a microwave, double boiler, or CrockPot Little Dipper to melt the coating. If you’re using the first 2 methods, be careful not to make it too hot, or the cake pops will fall apart. If this happens, let the coating cool for several minutes before dipping more. 5. Remove several cake pops from the freezer. 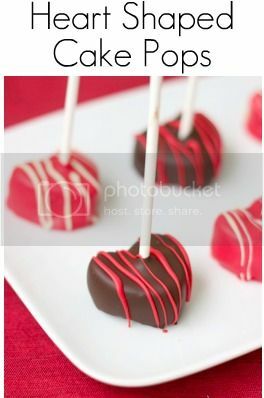 Take a lollipop stick and dip the tip into the melted coating (this is key to get the cake ball to stick). Push the stick almost all the way through the cake ball. Dip the ball into the melted coating until it is all the way covered, then quickly remove it. Hold the coated pop over the bowl while the excess drips off. To help speed up the process, you can tap your wrist with your other hand. 6. Once most of the excess coating has dripped off, add sprinkles if you want and place the pop stick into styrofoam or a colander to dry. 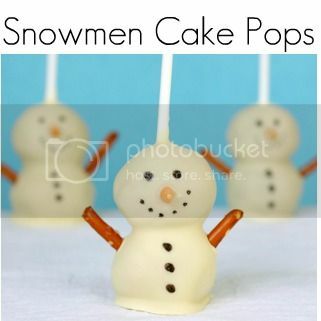 if you’re making pops that are going to lay flat (like the snowmen ones below), set them on a flat surface lined with wax paper. When you’re done with the first batch of cake balls you remove from the freezer, take out several more and repeat steps 5 & 6. Do you have any questions about making cake pops? Leave a comment below! Yum!!! 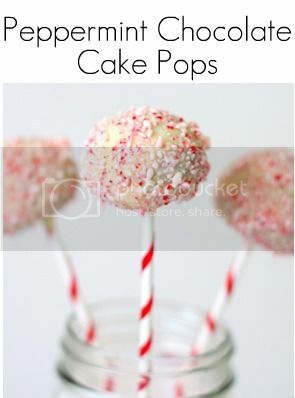 I love cake pops…..so pretty and yummy! @TastefullyJulie – yeah, I definitely tried a lot of interesting and unique foods! It was fun but I was kind of glad to be done at the end. Now I just bake whatever my heart desires! Great tutorial – love the colander solution!! Kiri W. recently posted Chayote – A Vegetable Pear? @patty – thank you! I added you to my email list. I hope you enjoy my posts! what should the ratio of cake crumbs : frosting be? @sjones167 – In my experience, I’ve found that most recipes work well – however much frosting was meant for the cake is a good amount to make the crumbs into cake pops. If you’re looking for exact amounts, check my previous cake pop recipes. Hi! Just wondering whether I can make up the balls of cake first and leave it in the freezer or is it best to leave it in the fridge overnight? @tiffy – If you’re using them the next day, I would probably leave them in the fridge overnight so they don’t completely freeze. If you’re keeping them to use in the future though, you can freeze them and then let them defrost a bit before coating in chocolate or candy melts. I love the tip about the colander, although I can see that care must be taken to make sure the sticks don’t end up sliding all the way through the hole and causing the pop to “pop off”! 😉 Personally, I *hate* cake pops made with frosting (ESP canned frosting) and boxed cake mixes because I find the texture ends up being gummy & gross. It’s like eating a bite of cake that’s been chewed up and spit back out. 🙁 Plus, cake is usually sweet enough without adding a ton of sugary-sweet frosting (IMO.) So instead, I prefer to use other binders such as liqueurs, chocolate syrup, jams or preserves, heavy cream, cream cheese, marshmallow fluff, coffee, or even non-dairy coffee creamer. And the less liquid, the better – just enough to hold the cake crumbs together. I also dry out my cake crumbs after pulsing through food processor by spreading them out on a cookie sheet and either leaving them sit out to air dry overnight, or put them in a low (200-250) oven for an hour. Box mix cakes especially have such a soft texture already that when you add liquid or frosting to the crumbs, the texture just becomes very mushy and not very appealing. But if you use a drier crumbs, they absorb more of the moisture from the binding agent and leaves you with more of a cake-like texture. Thank you for all those tips and tricks. I have one question though about the candy Melts. I got the Wilton one and they were so thick when I dipped the balls in it coated them so heavy the balls fell off! Any suggestions on alternative coatings? Would white chocolate work? And would I be able to colour it? Love the mini crock pot idea! @summerr77 – you can add some canola oil to the candy melts to thin them out. Or you could use white or regular chocolate (and same thing – if it’s too thick, add a tablespoon or 2 of oil and mix it in). I’ve tried making these and everything went smoothly until I had to let them dry. They just wouldnt stand up in the colander for me 🙁 I kept getting so frustrated. Any suggestions???? @caitlin – if the holes in your colander aren’t the right size for the cake pop sticks, use a styrofoam block. You could also try poking holes in a cardboard box. What if i don’t want to use frosting, could i still do the cake pops without it? Because i really want to avoid the sweetness. @Be-Be – if you don’t use frosting, there is nothing to hold the cake together. You can either use a minimal amount, just to hold the crumbs together, or use a cake pop mold, which bakes cake in to cake pop shapes. Hi, I am making cake pops for a baby shower on Saturday. Today’s Monday and I was thinking of making them on Wednesday as I have more baking to do for the shower on Friday. Would that be ok? Also, I plan on wrapping them individually as they will be the favors for guests…how do you recommend I store them before the shower if I make them on Wednesday? I live in the midwest where it is super hot right now even though I have air conditioning. 🙂 Thank you!! @Kate – Making them a few days ahead should be fine. I would store them covered in the fridge – either in a tupperware container or individually wrapped and ready to go. I’d love to see photos – feel free to post some to my Facebook page! @Be-Be: I’ve used liqueurs, chocolate syrup, jams or preserves, heavy cream, cream cheese, marshmallow fluff, coffee, and/or non-dairy coffee creamer instead of frosting to bind my cake pops, and they’ve turned out just fine. They come out far less sweet and gummy than those made w/frosting, depending upon how much you use, of course. @Karen – thanks for the tips! I’ll have to try some of these frosting alternatives. A lot of them would be much healthier, as well as less sweet. Do these transport easily? Would love to make them for SS van children today. @Brenda – I’ve only transported them when it wasn’t super hot, so take that into consideration, but I’ve never had any issues. Once they cool and harden, it’s easy to pack them into a box or bag – no messy frosting to worry about! If it’s really hot, I’d probably pack them into something insulated (lunch box, cooler, etc.) and/or pack them with an ice pack. Good luck! how to make frosting? pls tell ASAP.. have to make these for my son’s b’day next week..
@manisha – see my reply to Jess above for links to cake pop recipes. @Jess – I usually use a buttercream frosting, which is mostly powdered sugar (icing sugar) and butter, plus flavoring and sometimes some milk. You can see all my cake pop recipes on this page in the cake pops section. I have a few flavors, the most basic being a vanilla cake and frosting (the Heart Shaped Cake Pops post). Let me know if you have any more questions! Teresa, you can decorate cake pops with tons of other edible items: sprinkles, pretzels, candy, other cake/cupcake decorating items. Check out recipes for cake pops for specific ideas (it depends on what shape you’re making them), try going to a cake decorating or candy aisle to get inspired, and see Bakerella’s book Cake Pops for tons of adorable ideas. i know this may sound like a dumb question but do you have to keep them in the fridg. when you are done making them since you had to freeze them first? i have a 10 hour trip to make and would like to take them how do you suggest i pack them ? Dawn from Pa., I usually refrigerate mine after making them. Since you’re traveling so far, I would probably pop them in the freezer when you’re done making them so they don’t go bad or melt on your trip. You can pack them into Tupperware kinds of containers and then place those in a padded box or bag. I made the cake balls they were wonderful .but I couldn’t get the chocolate coating to look good. How much frosting vs. cake should be used? Ex. one container of frosting per box of cake mix…?? Jaxx, if you’re doing cake mix and store bought frosting, I believe you use 1 container of each. I usually make my cakes and frosting from scratch and just use whatever a normal cake recipe calls for. When I try to put the pops in the chocolate I feel like the chocolate gets harder to work with because the cold pops change the consistency. Has anyone had that issue? Can I Do Them Without the icing ??! Jess, it won’t really be a traditional cake pop without icing mixed into the cake. Cake crumbs won’t stick together without icing, but you can use a cake pop pan, which bakes cake into ball shapes that can be dipped in chocolate. How do you know, our what core ingredients are necessary for a good cake pop recipe? I’m very into scratch baking with as little artificial ingredient as possible. I made a strawberry cake last night and the cake balks are mor holding together well. There was no oil in the recipe and 6 egg whites used. What should I have done to adjust? Kelli, there might not be enough fat in the cake so it’s too crumbly. But I think if you use enough frosting it should hold together. Try putting the cake/frosting dough into the freezer for a little while and see if that helps. Do you know or have you ever taken your pops and put them in a pan of cake batter to be re-baked? I was curious with your recipe including frosting how it responds when re-baked. *Youve seen cakes where you cut into it and the colored balls are inside? Thanks. Lisa, I’ve never tried taking cake pops and baking them in a cake. I don’t know how the frosting would react to that. Sorry I can’t be more helpful! 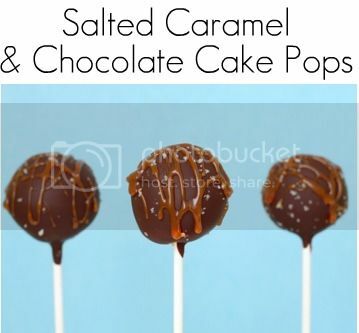 I have attempted making cake pops several times, have followed three different recipes and each time the balls are very wet gooey and don’t stay on the stick. Is there a ratio between cake and frosting? Do you have a recipe? And it says in your tutorial to use a can of frosting but that’s what I did first time and balls didn’t work. 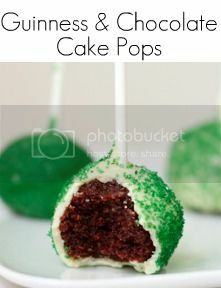 Jasmin, at the end of this post there are links to several cake pop recipes. Here are all of my cake pop recipes. It sounds like you probably need less frosting. Silly newbie question – since one needs to melt more chocolate/candy melts than one actually needs, does one throw the rest away or can one reuse it? Eva, you sure can – just cover and keep in a cool, dry place and reheat when you want to reuse.